We understand that the beyond your home is simply as crucial to you as the within. In numerous ways, it’s a lot more important. By improving the way your home looks from the outdoors, the entire residential or commercial property can be offered a new lease of life and a fresh look. Whether you desire a better parking area or a garden that impresses, we have the abilities and knowledge to make it happen. We value our customers and pride ourselves on fulfilling their needs at every turn. We’ll go that additional step even more to customize our services to your particular needs. 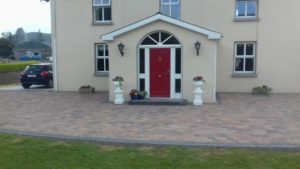 Askeaton Paving are regional indian sandstone paving business. Our group covers the entire Glanworth and surrounding locations. All work undertaken by our team is done to the highest standards with a series of driveway and patio area alternatives available to fit your spending plan and your requirements. Varying from driveway extensions to driveway replacements, outdoor patio setups, garden areas, custom-made tailored brick work, natural stone installations. We are professionals at installing block paving, tarmac, asphalt, gravel surface areas, concrete surface areas and a series of natural stone surfaces including sandstone, marble, granite and more. Get a FREE quotation today for a new stylish driveway or outdoor patio indian sandstone paving services in Glanworth. We supply an exact same day call out and totally free quotation service. Call us today to set up a free no responsibility quote. We can go through numerous options for your driveway or patio area. We will supply a full breakdown of the work included and supply you with a written 5 year warranty when the work is finished for any indian sandstone paving services. No cash upfront or deposits are required. Glanworth (Irish: Gleannúir, meaning “yew valley”) is a village on the R512 regional road, 8 km northwest of the town of Fermoy in County Cork, Ireland. It lies approximately 40 km northeast of the city of Cork, the county’s administrative centre, and 210 km southwest of Dublin. The combined population of Glanworth East and Glanworth West in 2006 was 1,316, an increase of 8.6% since 2002. Glanworth has a Roman Catholic church, a school, one shop and four pubs. The village is locally known as ‘The Harbour’. This stems from the ninth century invasion of Vikings, who sailed inland as far as the monastery in Glanworth. The village was sacked and some of the women were taken back to Scandinavia as saltwives. A cry of ‘come on the harbour’ is still often heard at sporting events.